MME has a versatile fleet of crane trucks, fitted with cranes ranging from capacities of 12 to 80 ton/metre. Operators and crews are all certificated and trained to a high degree of competence. Our vehicles, with trailers to suit all requirements, run regularly between our branches in the major cities. 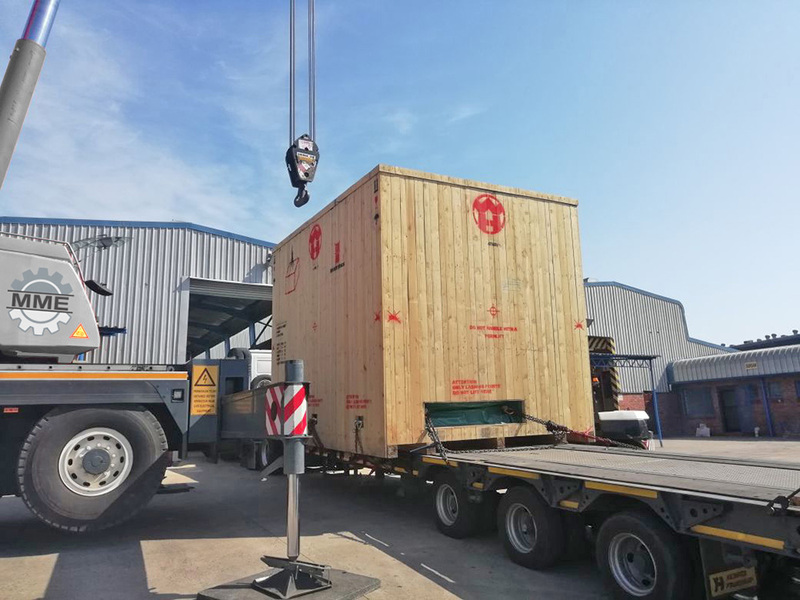 By attending to all our loading, securing and offloading, MME are well placed to ensure that your equipment is handled professionally with the utmost care, limiting the risk of damage. The moving of abnormally large and heavy items need not be an outsize problem. 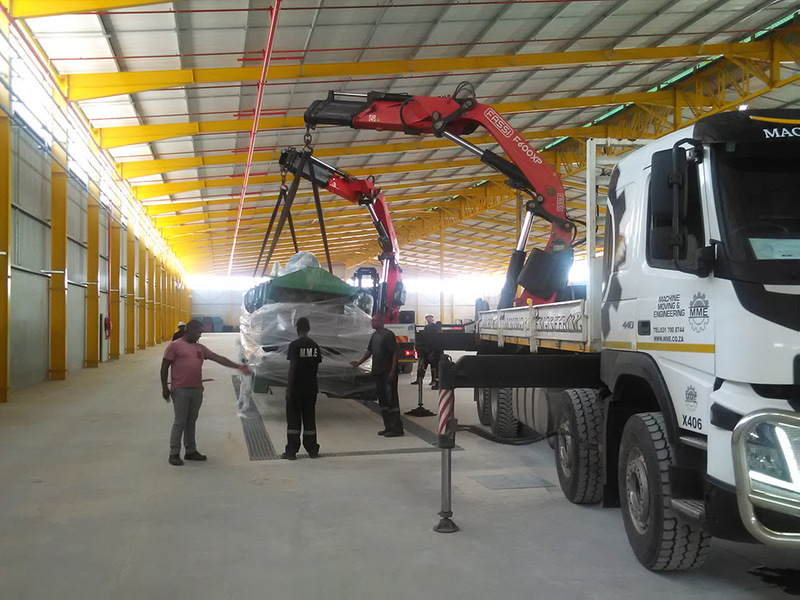 MME has the resources and experience to move abnormal loads, including route surveys and the provision of permits and escorts. Stainless steel tanks for the wine and spirits industry are often abnormally large and require careful handling to prevent denting during transportation. MME has specially constructed trailers (purpose built) to safely convey these high-value commodities. We do the upliftment from the manufacturers, transport, offloading, positioning and piping up for the liquor industry. We are members of the Specialized Carriers & Rigging Association, an American-based organization, dedicated to upholding the highest standards of safety when handling abnormally heavy or large items.